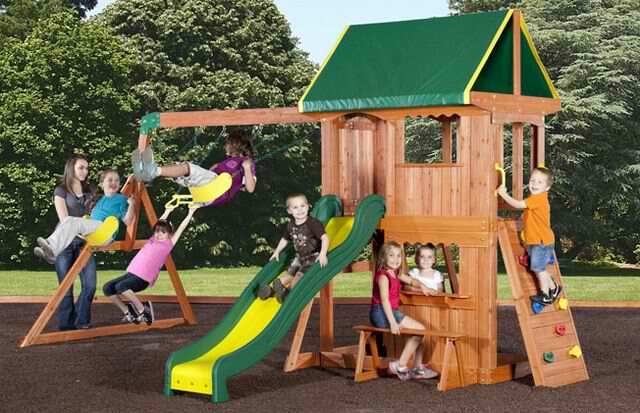 The Somerset Playset – Only $649 and free shipping to your home! 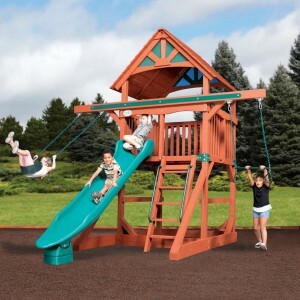 The Somerset is a great swingset for smaller yards or budgets without sacrificing play fun! 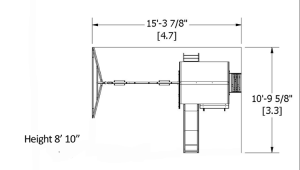 The extra-wide fort has an upper front wall and observation window. 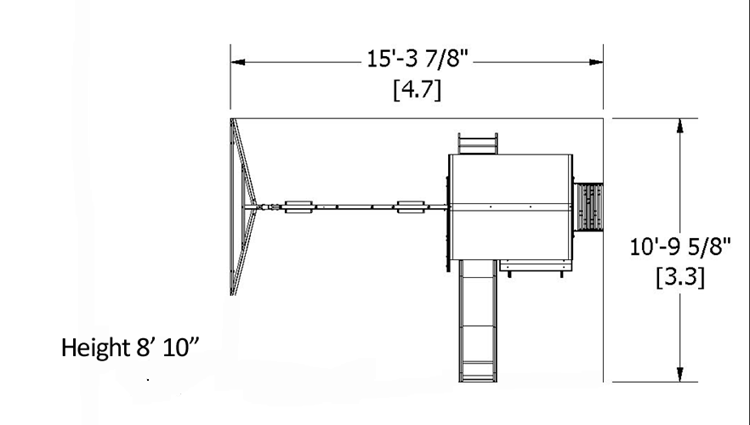 Down below there’s a snack window and integrated bench. 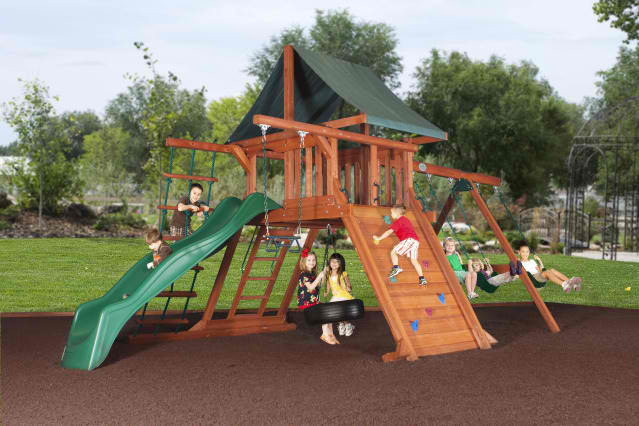 A challenging solid rock wall make climbing fun and a standard step ladder in the back makes it easy to get to the upper playdeck. 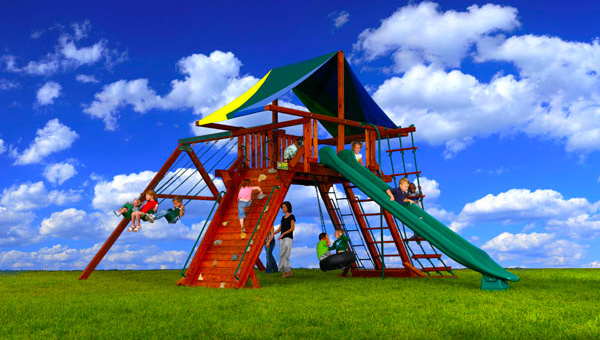 An 8′ speedy slide is fun and fast for everyone. Out on the swing beam there are two belt swings and an acrobat bar for adventurous swingers. All in all, the Somerset will keep the gang happy for hours and hours.